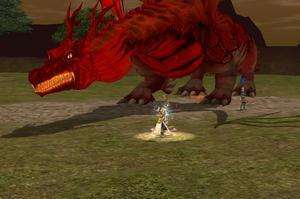 Metin2 is an action packed MMORPH game (or a Massively multiplayer online role-playing game) in a world in which players roleplay in the Eastern world and attempt to achieve the title of grand master. As a classic role-playing game in this genre, there is also an element of martial arts against the an underworld of evil dark forces of the Stone Metin. You play with a variety of weapons in Metin2 such as swords, spears and bows. After playing for a while, you eventually move up in rank and your powers grow. For security reasons, you should also check out the Metin2 download at LO4D.com which includes virus and malware tests. Additional screenshots of this application download may be available, too. Metin2 has a presence on social networks.